In Prisoners, New York artist and photographer Arne Svenson presents some two dozen portraits of turn-of-the-century prisoners, which the artist developed from found negatives. 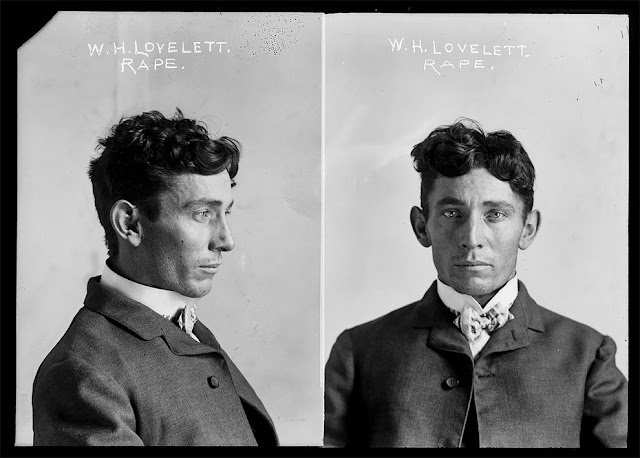 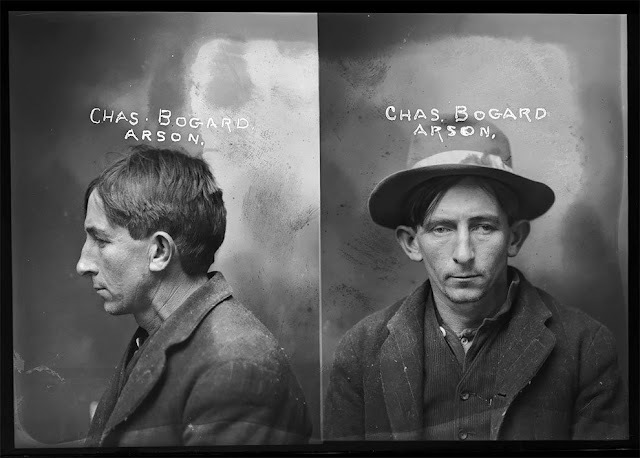 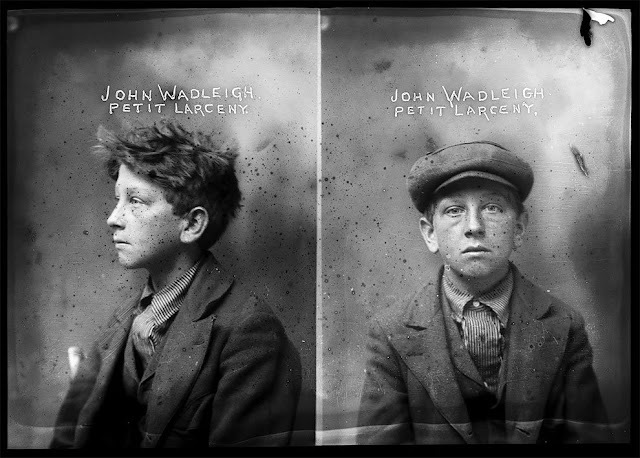 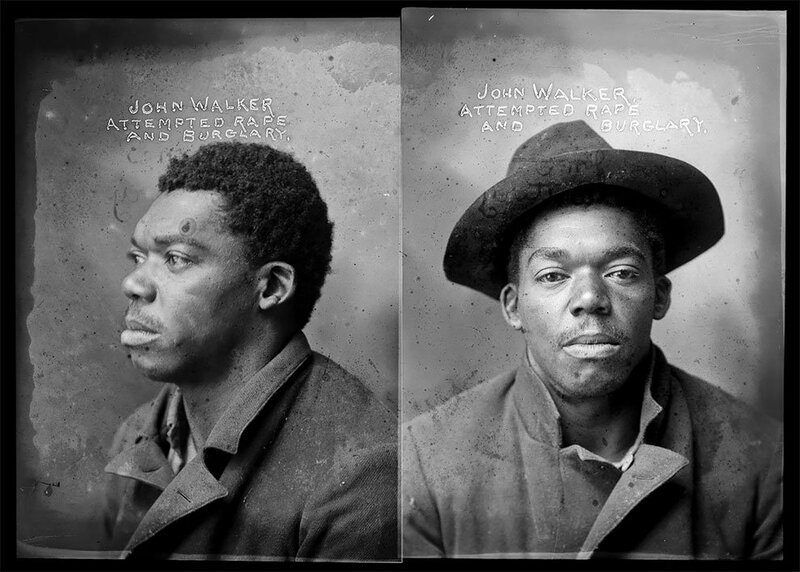 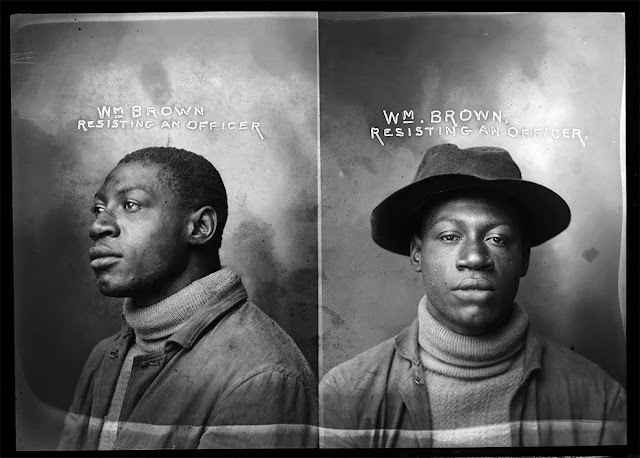 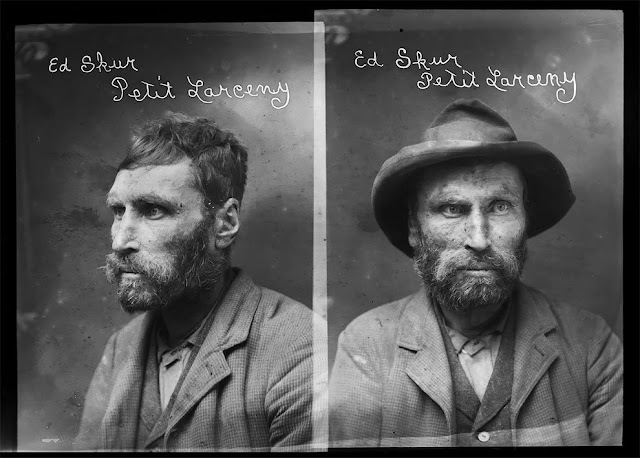 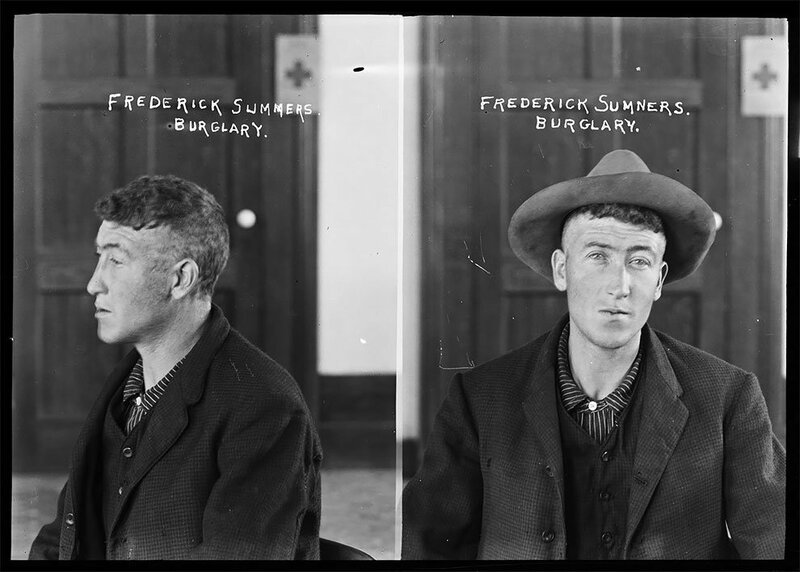 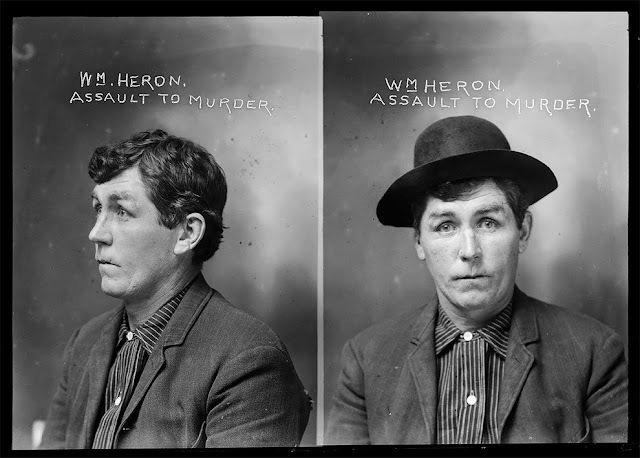 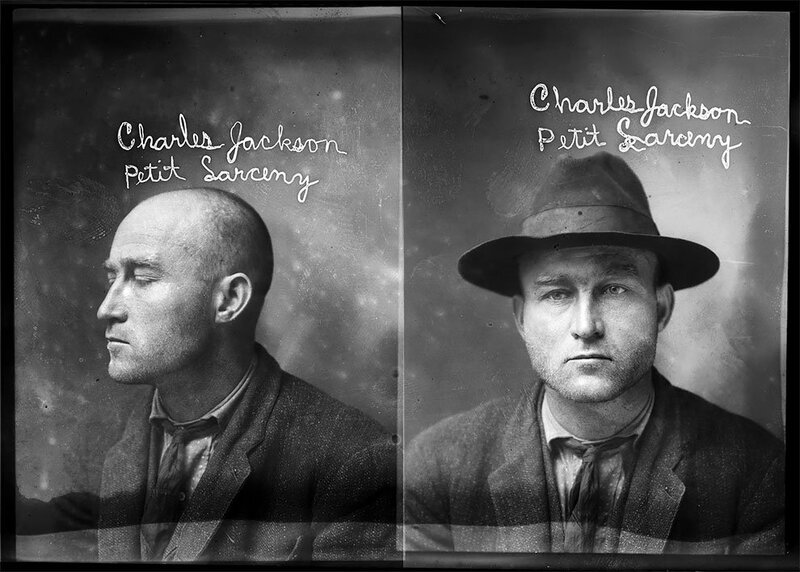 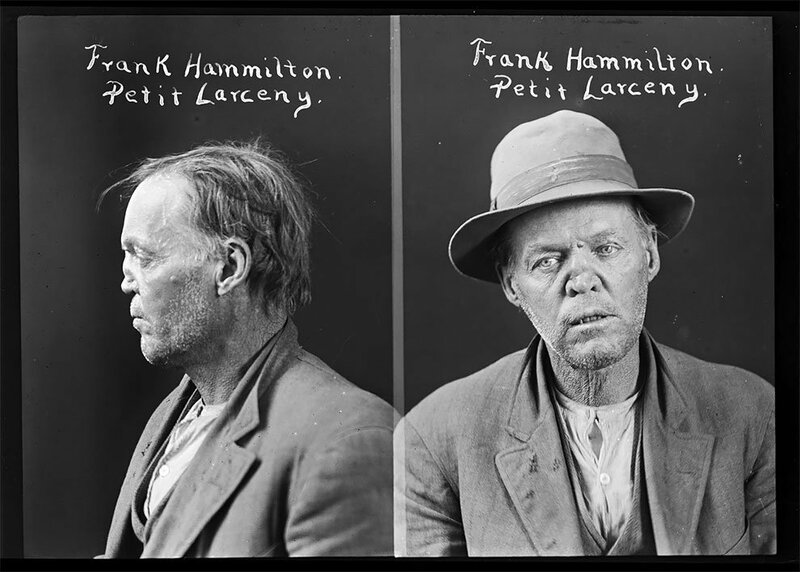 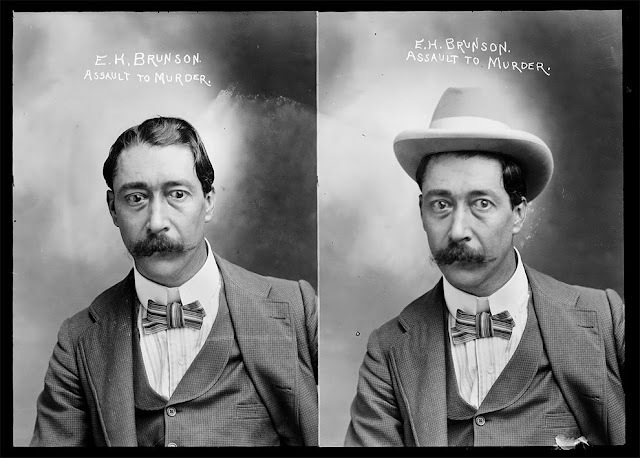 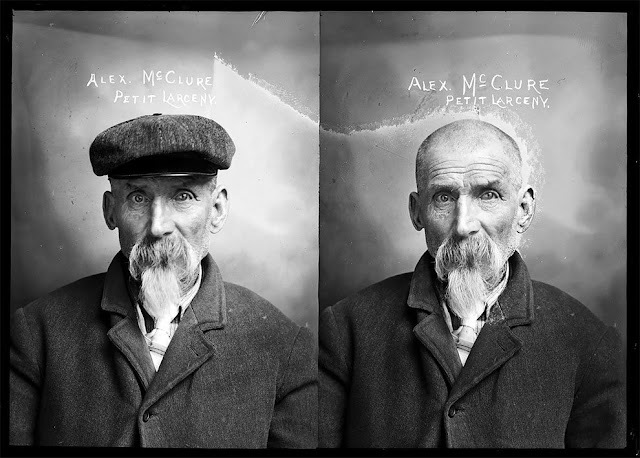 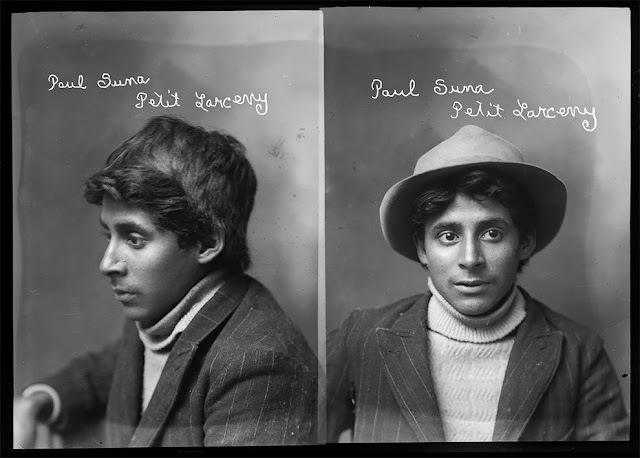 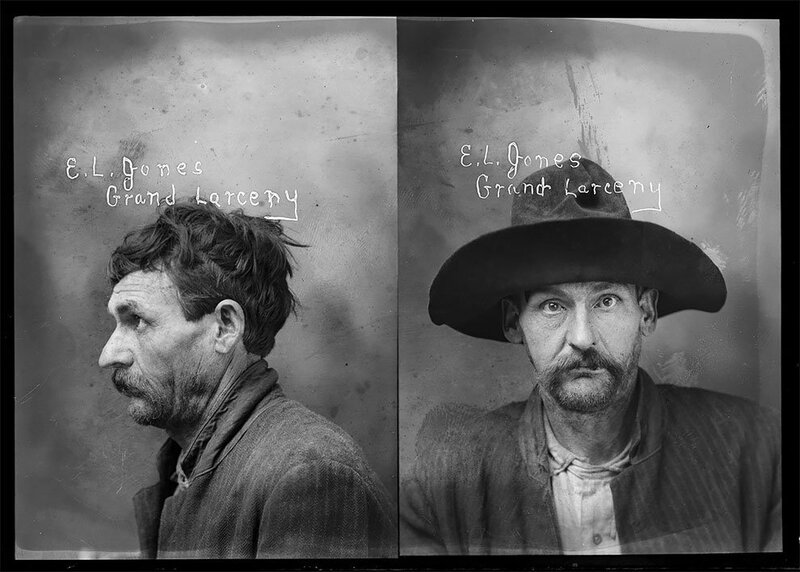 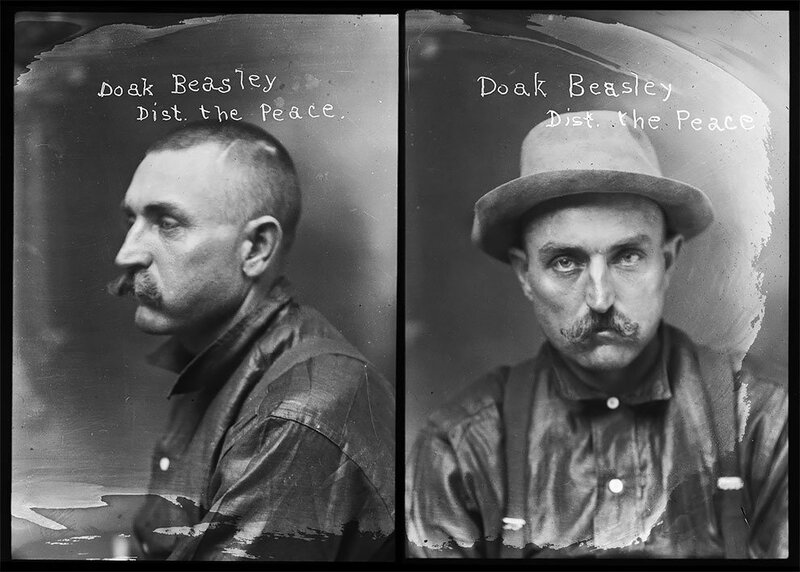 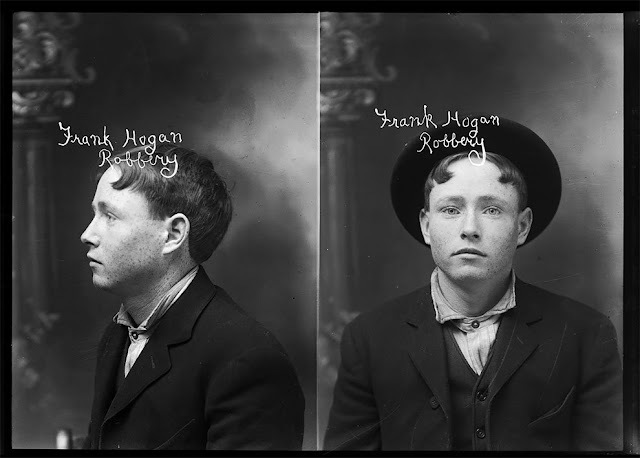 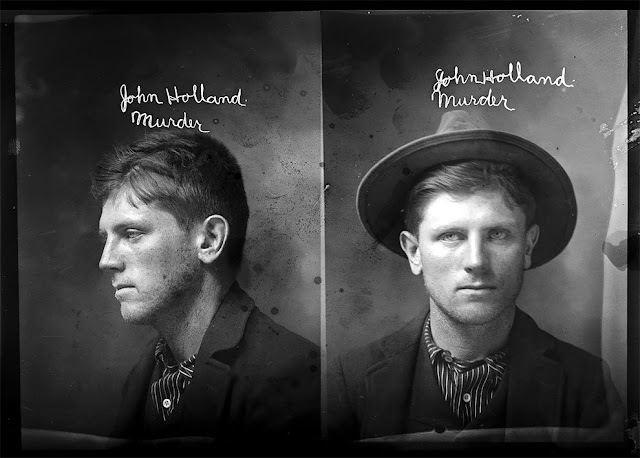 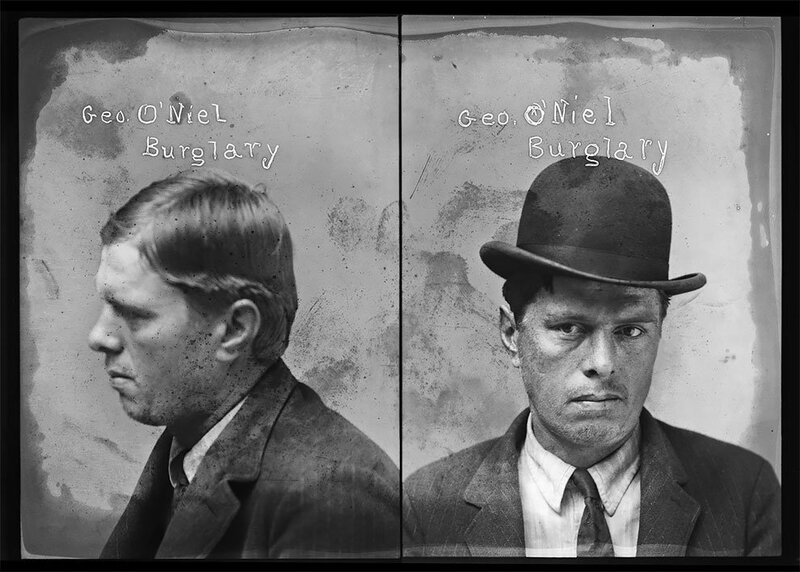 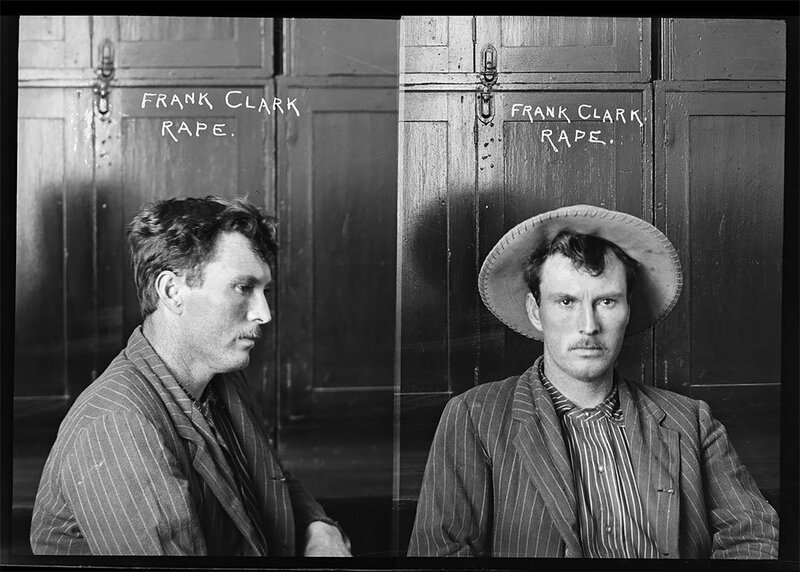 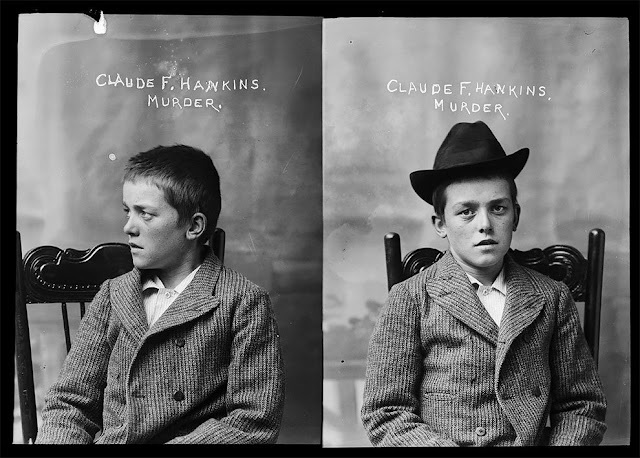 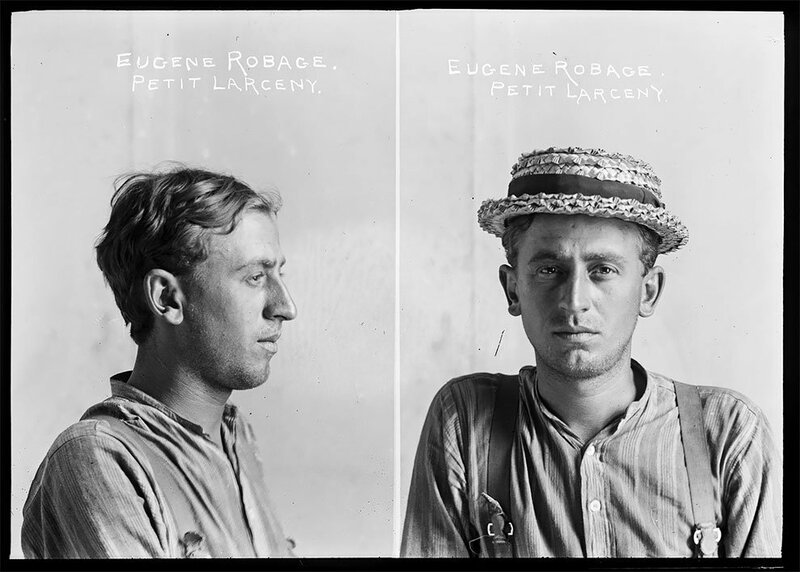 Each image (about one to two feet) is a diptych mug-shot (full face and profile), with the criminal's name and crime etched into the emulsion and visible above the subject's head. 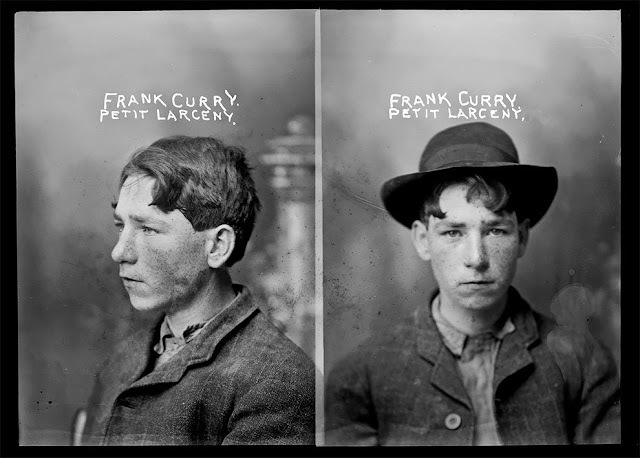 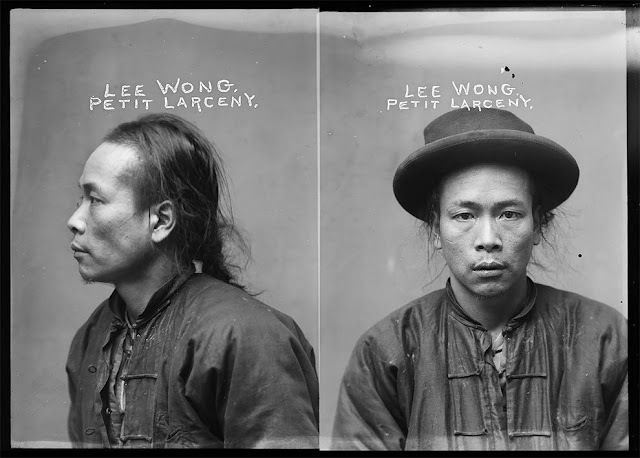 The crimes range from petty larceny to murder in various ages and races.